Hey guys! Happy Friday! Wow this week is flying by. I am getting ready to host a birthday party for my soon to be 5 year old daughter, Hannah. I didn’t think I had enough decorations so I’ve been scouring Amazon for more party decor. It’s probably too much at this point. I think I have more decor than food options. Oh well! Anyways. This Friday Favorites segment is a little different. 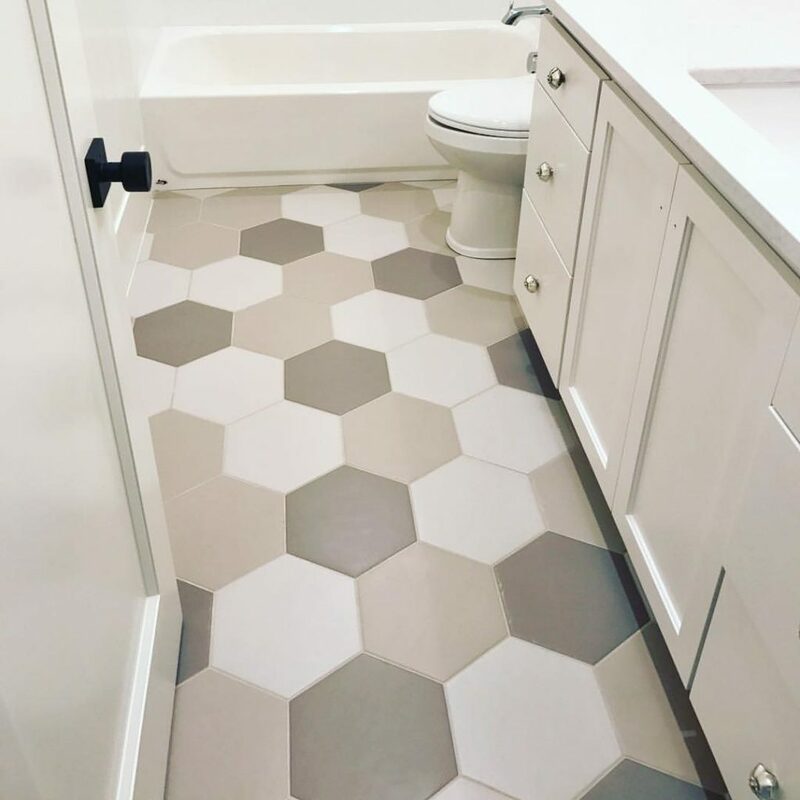 I’ve been noticing a lot of really pretty bathrooms on Instagram and Pinterest lately and a lot of them have these hexagon tile floors in common. 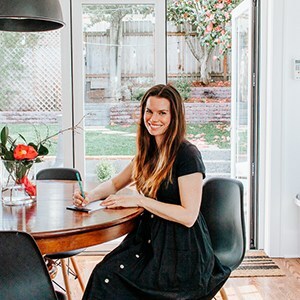 So, I’ve decided to make my friday favorites post about these gorgeous floors. It’s fun to see so many different colors and patterns! I love the timeless feel – I don’t think you could ever get sick of it. 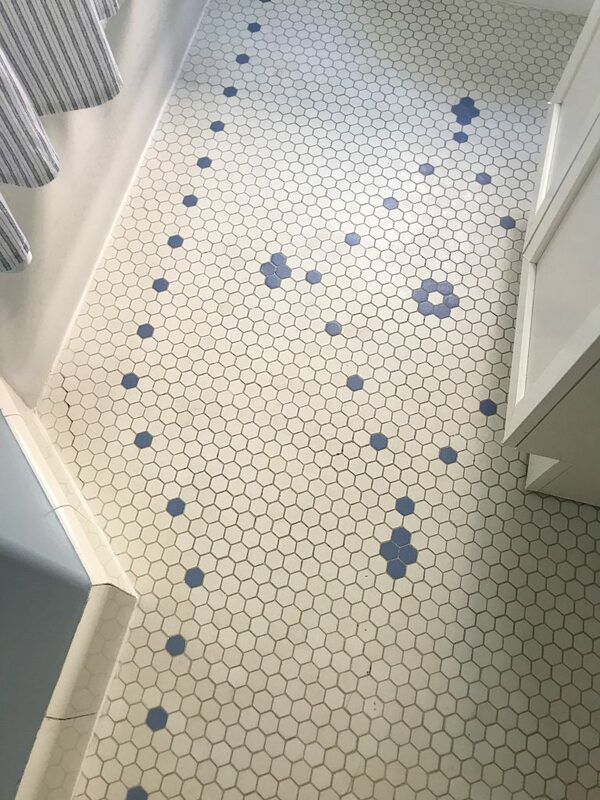 We were lucky enough to inherit a cool hexagon tile floored bathroom here at our craftsman (built in 1926). 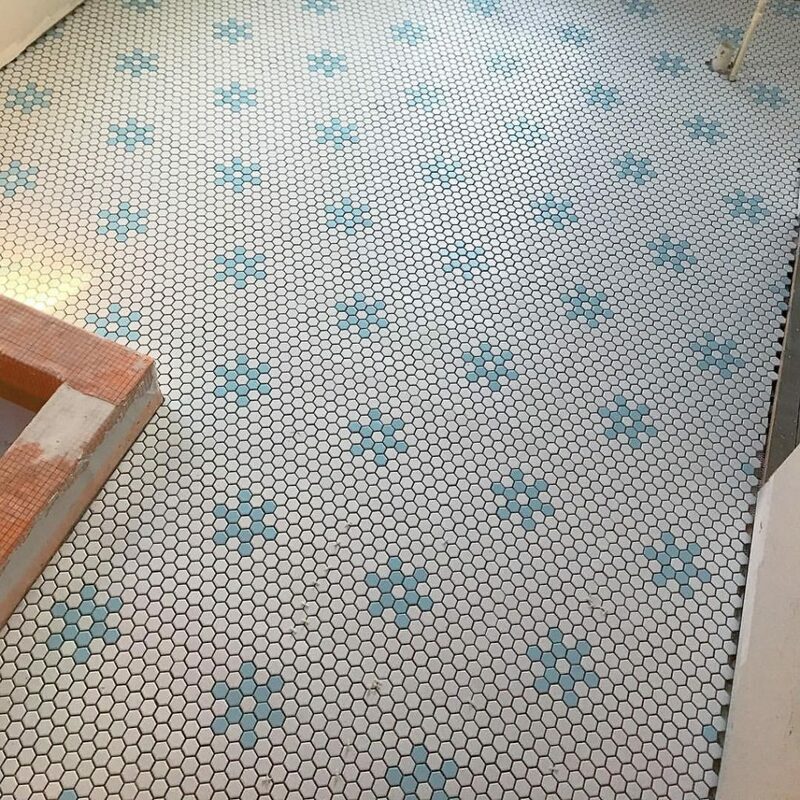 We want to eventually redo this little bathroom but I hope we can salvage this pretty floor in the process! I’ve also posted some additional photos below of my favorite hexagon tile designs for your next bathroom project. This picture above is from our little hall bath. We played off the blue tiles by choosing a blue paint as well, but I want to add some half wall shiplap or board and batten eventually to break it up a little. Isn’t the pattern cool? 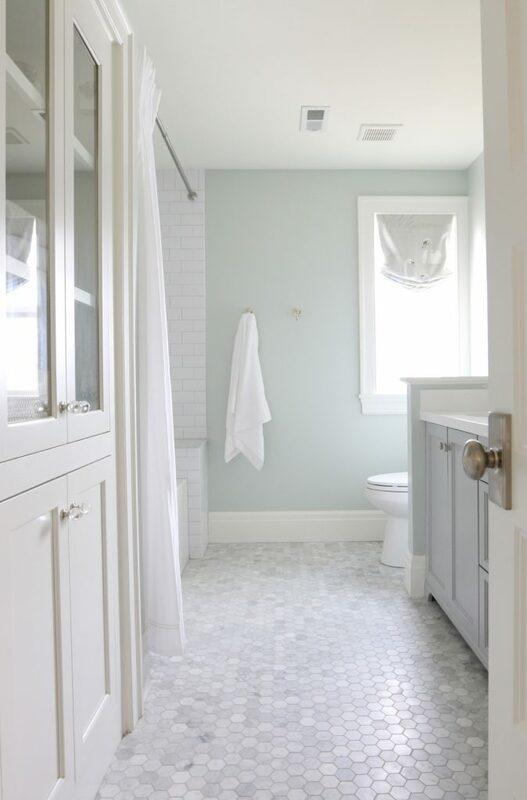 And below are those other hex tile floor eye candies for ya!